Stirring the Plot by Daryl Wood Gerber. New York. Berkley. 2014. First Edition. Paperback. Good. Edgewear. Crease in spine. Halloween in Crystal Cove, California, is a big deal, involving a spooky soiree where the Winsome Witches, a fund-raising group, gather to open up their purse strings and trade superstitions. 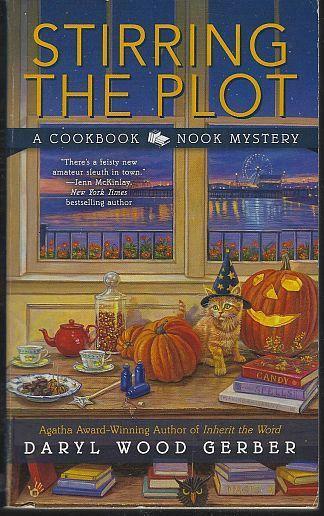 A Cookbook Nook Mystery Vol. 3. 287 pages. Items Similar To "Stirring the Plot by Daryl Wood Gerber A Cookbook Nook Cozy Myste..."